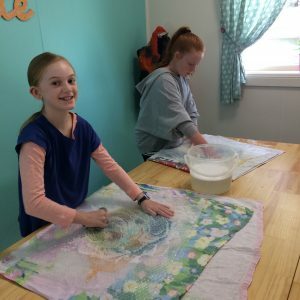 Children who attend my weekly sewing classes are intrigued by the felted objects around The Studio and ask me how they are made. 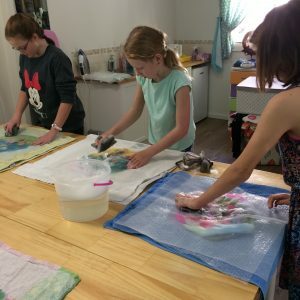 So I have decided to have a little felting fun this easter break with this simple wet felting technique that I am sure the kids will love. We will be using polystyrene eggs, merino wool rovings and some soapy water to have a whole lot of clean fun. The kids will love getting their hands wet and soapy to create these fun easter eggs. Once the eggs are made I will instruct them on how to attach the ribbons, so they can hang them.